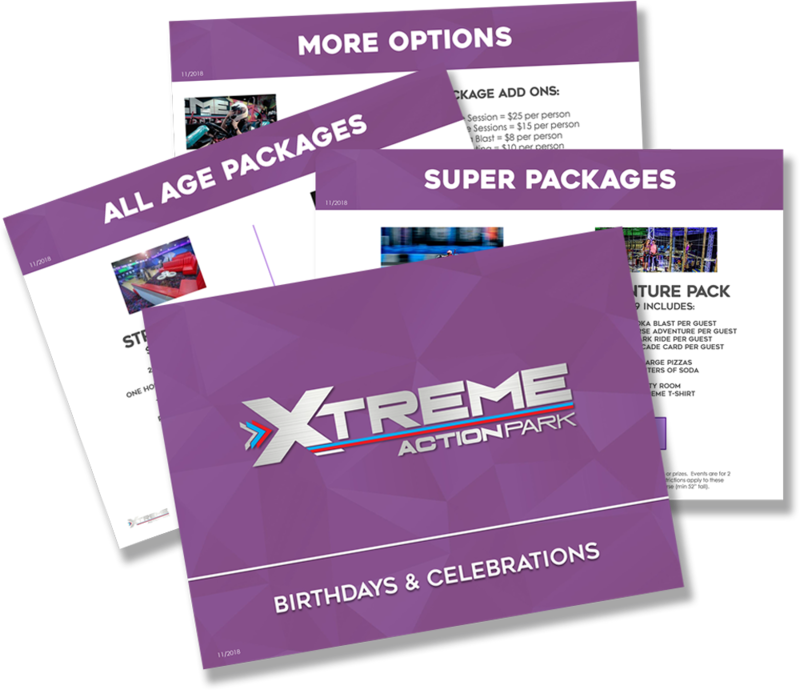 For an amazing Birthday Party your child will never forget, trust Xtreme Action Park to deliver the best in family entertainment! 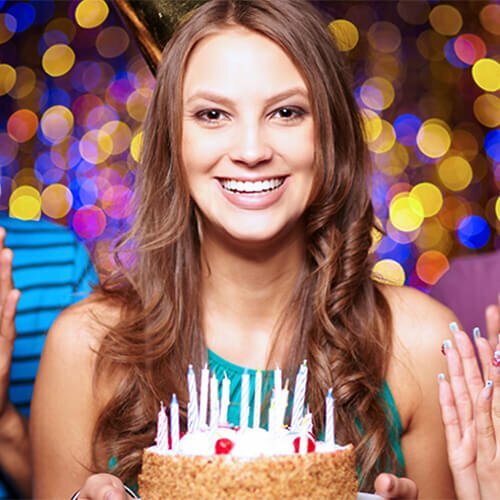 From a single party room to an entire facility rental – Xtreme can accommodate a birthday party event for up to 10 or over 1500 guests and provide you with the exclusivity and privacy you demand for your child’s special day. Our Birthday Party packages are custom-made to provide reserved access to our arcade games, bowling lanes, ropes course and, of course, racing sessions for kids who crave back-to-back races with their closest friends. With all of the fun things to do at Xtreme Action Park, your child and invited guests will be guaranteed hours of fun and excitement that they will never forget. individually at an additional cost. * All prices are per person. Includes skate/shoe rental. Add on a Hershey’s Ice Cream Cake! We offer 7″ round and 1/4 sheet sizes. Each cake has both chocolate vanilla ice cream with a crunchy chocolate center. All Packages are a minimum of 10 Guests including the Birthday Child. Arcade Play Cards are valid for all games that do not issue tickets or prizes. Events are for 2 hours in a room or reserved area. No Outside Food allowed. Birthday cakes only permitted for guests that purchase a party package. Event setup includes tablecloths, balloons, plates, napkins, cups and utensils. Party Server included for all packages. Please arrive 15 minutes early for your party. Height and Age restrictions apply to all attractions. 15% Server Gratuity will be added to all parties. Pricing Subject to 6% Florida Sales Tax. Current pricing effective as of 11/2018.